I requested art of my fluffy bat pone from the tumblr blog idrawyourmlpoc and was worried it got lost in the masses, which i didn't totally mind cause it's hard work to make art for free, but here it is!! A huge thanks to the-guider-of-souls who made this for me, i love it! For Stormstride of her OC! 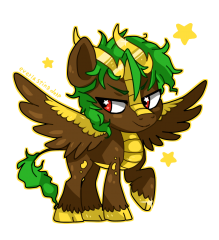 So simply put, coming up with a design and appearance for my characters is not always the easiest of things... so I am requesting to see if anyone has OC or design, whether they are pony or otherwise, that they are looking to have adopted? 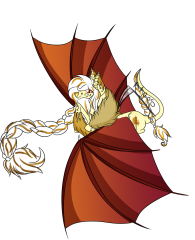 Right now I am looking for pegasus and unicorn designs, perhaps also a qilin, though other races might possibly work. Mostly looking for males at the moment but a good female design could work as well. 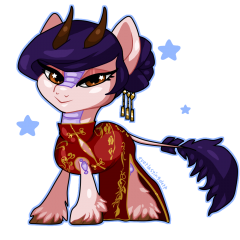 I am looking to created characters for Long Guo, Neighpon, Polyneighsia so consideration of that with the designs. Thank you in advance, I hope the consideration of making this thread helps as I hope. I appreciate any who can help me, it will make the process go a bit easier. It's not a Zony, ya'll. (If there is a way to condense the pictures please tell me! I don't want to stretch the page!) I'm taking request to draw YOUR ocs! I haven't done this in a long time and the last time I did I lost steam, but hopefully I can do it again! 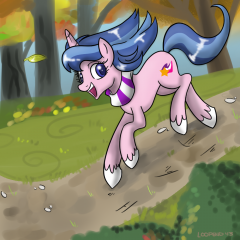 Getting back into watching ponies has made me want to draw them again. 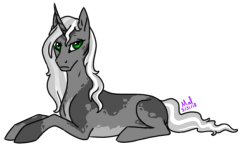 Fair warning I am a little rusty at drawing ponies so bare with me. 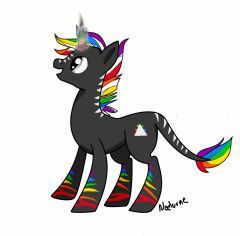 Here are some of my pieces I've done My Latest: My favorites: Please feel free to leave me a comment with your pony description or ref along with a general idea of what you want me to do with them. Thanks for your interest! 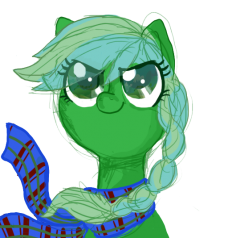 [Request] Can Somepony help me with some OC Art? Request for a Signature Banner! An OC request. Her name's Aria, whom is a snooty opera singer. Glesando posted a blog entry in Music to Give, Music to Take! 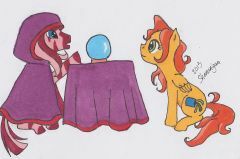 © Hasbro and so on for the pone, Ninjapony for the art, me for the character. 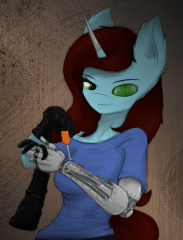 The first picture on the request RP thread is complete! Meridian belongs to FireFoxx. 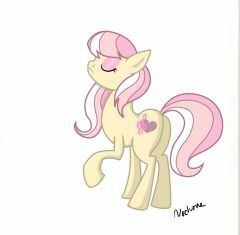 Would somepony be able to draw a cutie mark for me? Long over due request for Expo of his OC Rising Star. Was supposed to be for the Running of the Leaves, but its far past that due date. Shenanigan visits Insara to ask about her own future. Something about pranking lots of ponies, and friendship, or something like that. Insara belongs to Phil the Time Wizard. As usual, critiques are highly welcomed. Done with pencil, sharpie and copics. 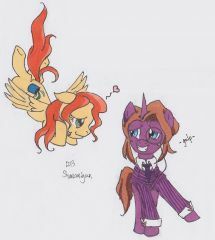 Shenanigan has a bit of a weakness for wordy stallions... Wordsworth Psmith belongs to Rackenhammer. As usual, critiques are highly welcomed. Done with pencil, sharpie and copics. 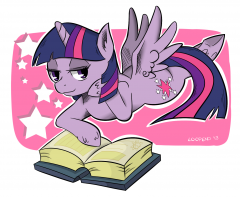 Hollybee's Theme of the Week Ponies/ Break time!